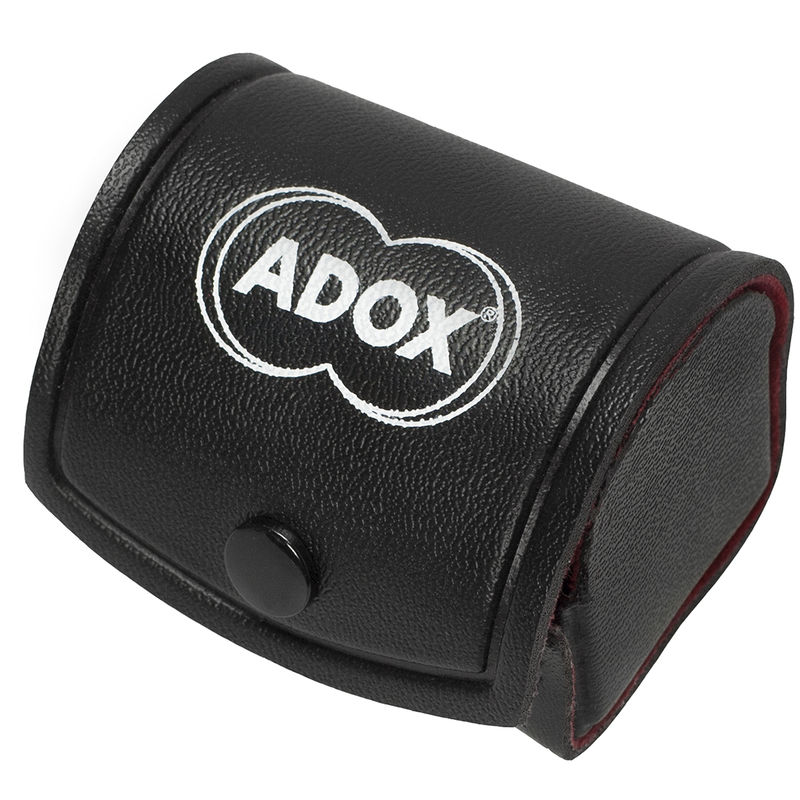 The ADOX Precision Loupe 10x with LED Ring Light is perfect for checking focus on the ground glass of a field camera. 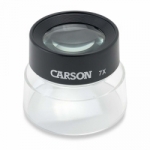 This loupe enlarges high enough to effectively judge sharpness, grain and/or resolution. Designed with a large covering area - producing a crisp high quality image even out to the edges. 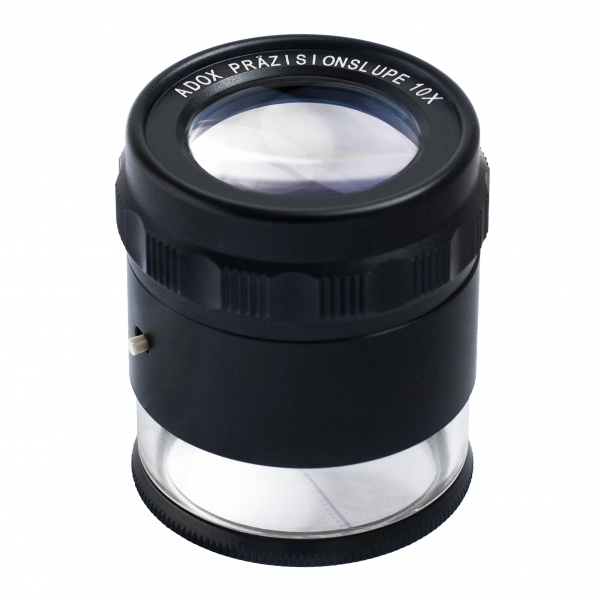 Built with high quality coated glass elements in a 30mm diameter with adjustable diopter compensation. 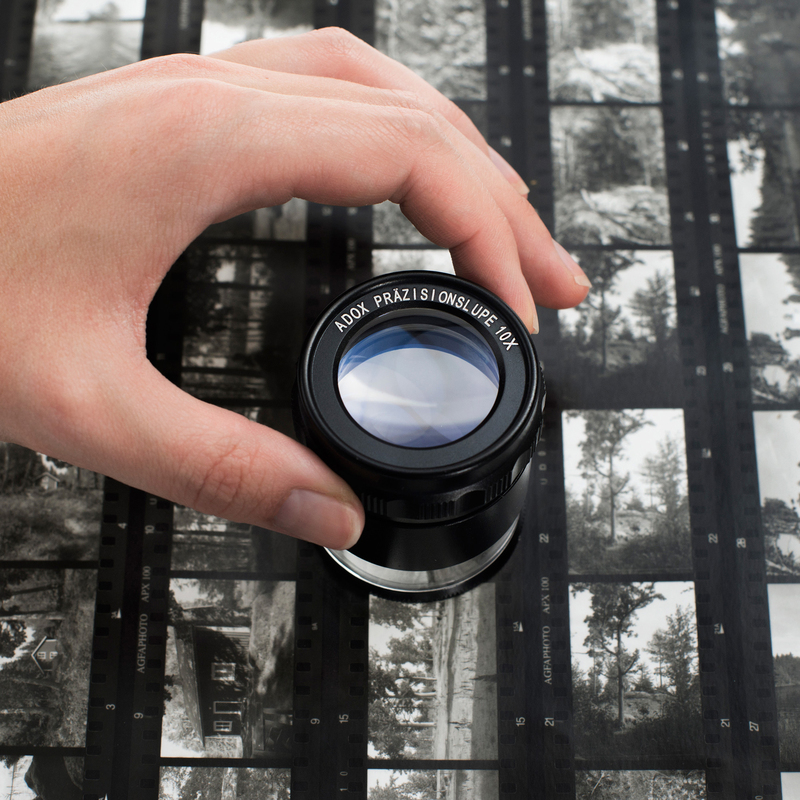 You no longer need to bring a lamp or light-box with you if you want to show your contact prints. 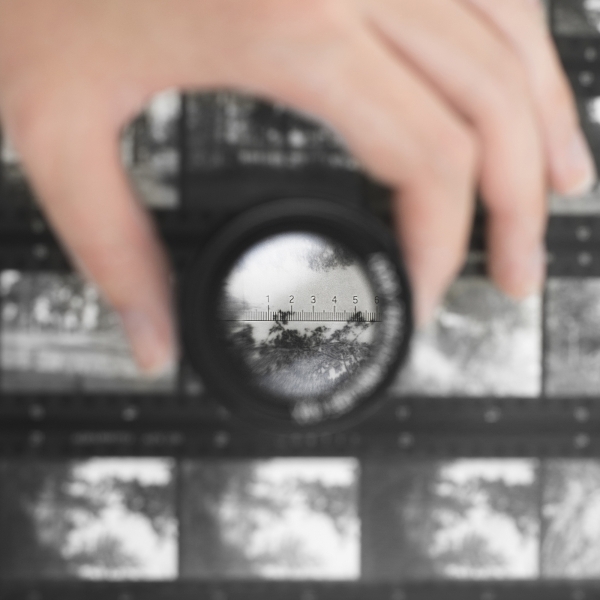 Just switch "on" the loupe! 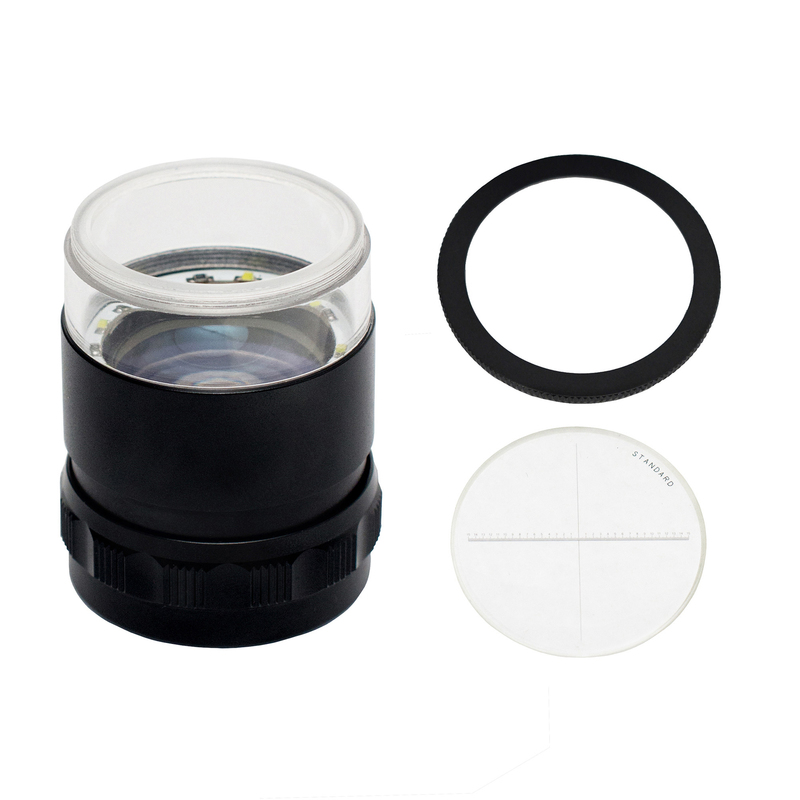 The lens thread is made from metal. The foot is transparent for translucent or reflecting images. 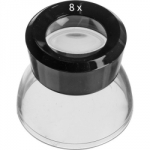 In the footer there is a micrometric scale (1/10th of a mm) which can be removed if wanted.